Event sponsored by District Hall and the Seaport. FREE TICKETS WILL BE AVAILABLE AT THE DOOR. 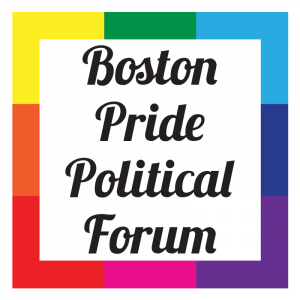 Boston Pride and Freedom for All Massachusetts are co-hosting the 2018 Political Forum of Boston Pride Week, in partnership with District Hall. The panelists invited to this event will discuss the upcoming Massachusetts ballot question that would repeal the law providing critical protections for transgender people. Practical tips will be shared on how our community shall mobilize in defense of trans equality. The event will be moderated by Alison King of NECN and NBC 10 Boston. Panelists include Lizbeth DeSelm (transgender activist, Melrose School Committee member), Deborah Drew(Worcester Pride Vice President), Mimi Lemay (parent advocate of a young transgender child), State Representative Byron Rushing, Kasey Suffredini (Freedom for All Americans President of Strategy), Nicole Talbot (teenage transgender activist), and Chastity Bowick (coordinator of Transcend, a program of AIDS Action Committee). 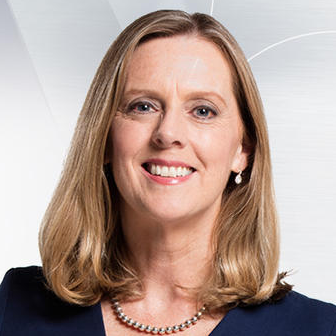 Alison King joined NBC Boston and necn in 1995 as the station’s first Connecticut Bureau Chief. Nine months later she moved to Boston to become the station’s Political Reporter. Since then, Alison has covered six presidential races and a wide range of New England political stories, including a documentary on the late Massachusetts Senator Ted Kennedy. Prior to joining NBC Boston and necn, she was a reporter at WFSB-TV in Hartford, Connecticut. She has also worked as an anchor/reporter at News 12 in Norwalk, Connecticut and WECT-TV in Wilmington, North Carolina. Alison worked on programming for ABC Sports during the 1988 Winter Olympic Games in Calgary and at ABC’s Good Morning America. She has earned a number of awards for her work including three Emmys, two Gracies, several Associated Press Awards, and she was a contributing member to necn’s 2000 Dupont award. Alison was the reporter and producer of the May, 2007 documentary, “The Education of Deval Patrick, The First 100 Days,” which exclusively chronicled the first tumultuous months of the administration of the Massachusetts governor. She has traveled around the world, from Bosnia with the Massachusetts National Guard in 1997 following the war to a Trade Mission to Israel with Gov. Patrick. A career highlight occurred in 2014 when Alison traveled to Washington for a behind-the-scenes visit to the White House, including a one-on-one interview with President Obama. She holds an undergraduate degree from Colgate University, and a master’s degree from New York University’s School of Journalism. Alison is a native of Orange, Connecticut. She and her husband live in Boston with their two children.